Valentine’s Day is fast approaching and I have so much left to do! I didn’t do much this year in the way of decorating my house, so I planned on at least hand making valentines. I set the kids to work with some coloring while I worked on some treats for their friends and classmates. 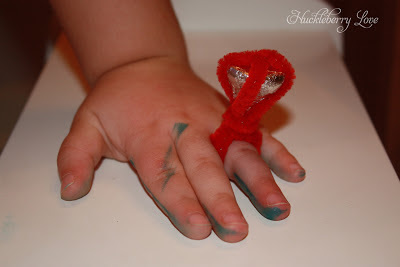 My daughter chose Strawberry Shortcake and for my son, Mr. Rico Suave, I found these ‘Bling Rings’ on Pinterest. They are perfect for my little ladies' man! He’s one of those quiet types that is so sweet with the girls. I often catch him holding little sister’s hand and kissing on her. <3! Anyways, the kids were way excited for both ideas and can’t wait to share the ‘love’ this Valentine’s day! For the rings themselves, I followed the tutorial over at Mom on Timeout. These are super easy, and came together pretty quickly. 1. 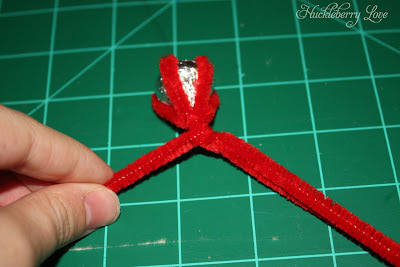 First take your pipe cleaners and hold them perpendicular, so their centers make a + sign. 3. Set your Hershey’s Kiss on top of the cross. 4. Bring the pipe cleaners to the point. 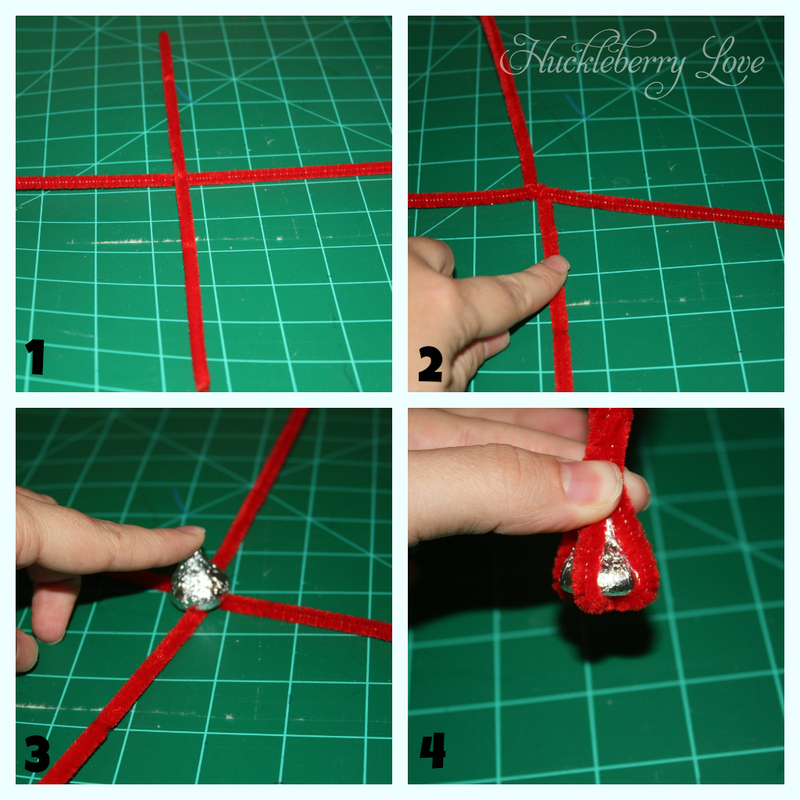 Twist tightly to secure the ‘bling’. 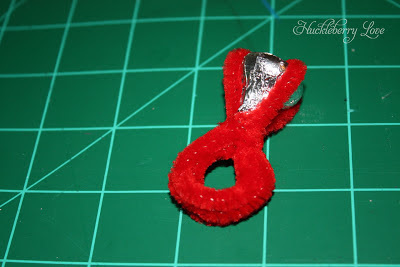 Divide the pipe cleaners and wrap both ends to form a loop for your finger. 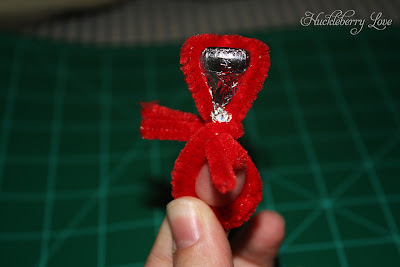 I found it easiest to wrap them around the tip of my finger so they would fit little fingers. 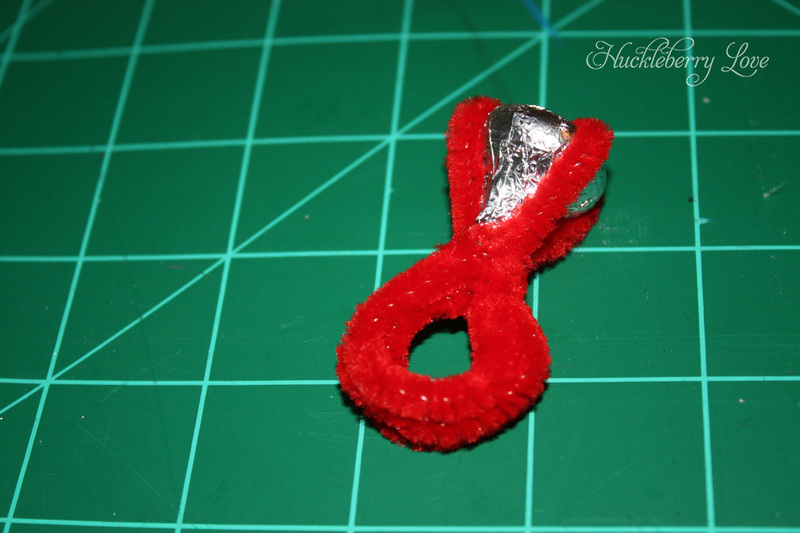 Twist the ends around the top of the ring. Trim the excess and tuck the ends so that they won’t poke. 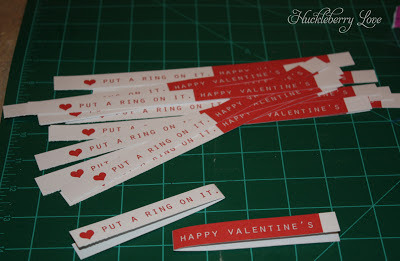 Cut the printable into strips, fold over ring, and secure with glue. Your finished! Pretty easy, right? My hand model got a little messy with the markers! My little guy will be so excited to give all of this bling out to his friends. More next week on the Strawberry Shortcake Valentines. 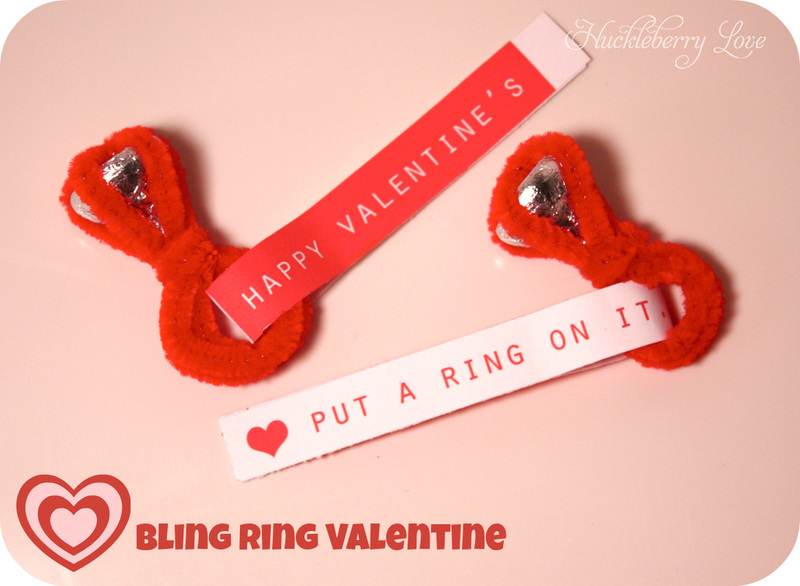 What kind of valentines are you and your kids giving out this year? This is so much fun! I love this great project. 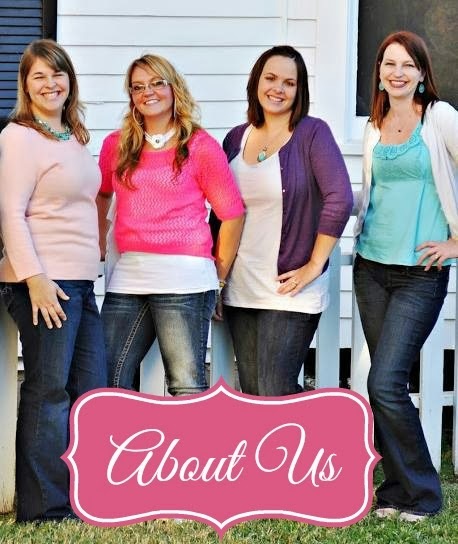 I found you via seven- alive and the cricut giveaway and am following along on GFC so I can keep up with your creativity! I'm hosting a loving valentine's day party that I'd love for you to visit. YEA! Thanks for sharing at the Loving Valentine's Day Party! I"m so glad you did 'cause this project is so fun!